Well - we did not have a gift for the newly wed at the time, so I wanted to create something with one of the pictures I took. The Cheers to Love, Heart Flourish & The Love Banner are just perfect for this kind of project! 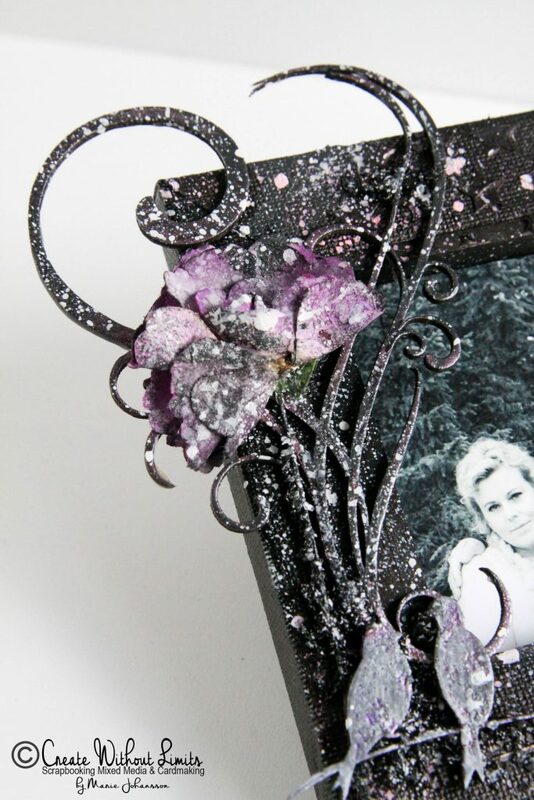 My main project - with the photo - is an altered canvas with the picture inside. Instead of using the front of the canvas I used the back - the picture fits perfect in the square "hole" in on the backside of the canvas frame. I painted the canvas matte black with gesso, added texture with a stencil and modelling paste and lilac tones with Tattered Angels Glimmer Mists (Fully Purple/Dried Lavender). I embossed the Scrap FX chipboards (Heart Flourish/Love Banner) before I painted them with Glimmer Glam (Pitch Black) to give them a metal look. I also added a bit of the Purple mists before applying the chipboards to the frame. To really highlight them I dry brushed with metallic acrylics. Love the effect! And surprise, surprise - paint splatters finish off the frame. Off course the perfect gift comes with a coordinating card or tag. This time I made a card by using scraps of 7gypsies paper, Glimmer Mists (It´s Black/Sterling/Dazzling Diamonds) and a flower. 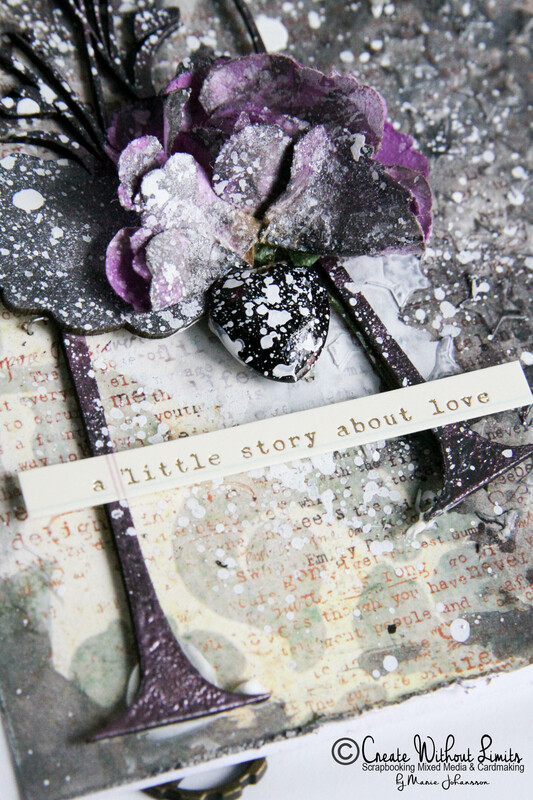 The perfect companion for a wedding gift must be the Cheers to Love Chipboard! I have used products from Scrap FX, Tattered Angels, 7gypsies, 7 Dots Studio, Prima Marketing. This is stunning and love how the purple pops out from the black.